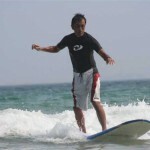 Surfing － why not give it a go! with Suzuki-san the owner and surfing instructor at Surf Shop Real, Shimoda. 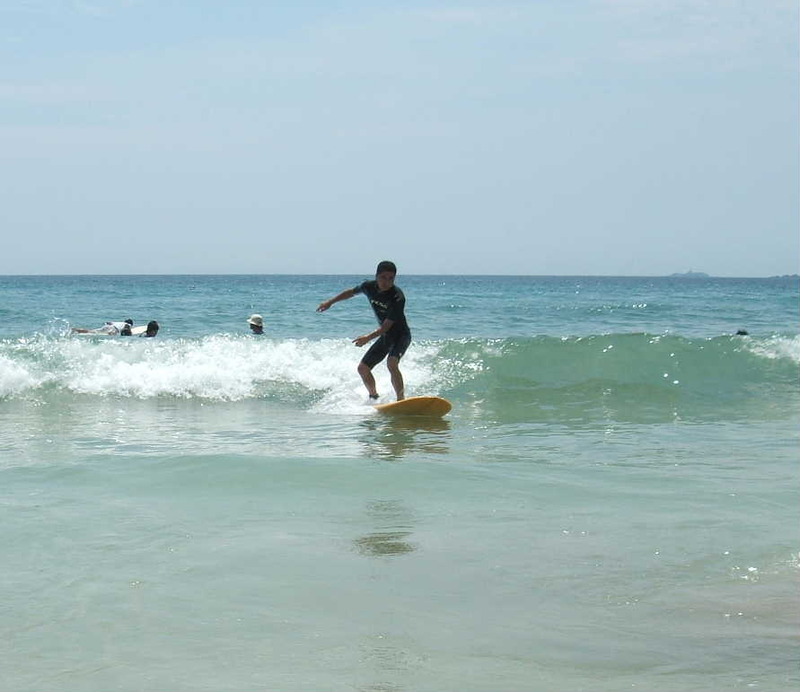 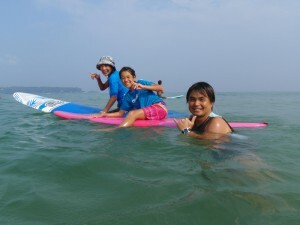 but the children were able to stand on their boards and surf the waves within the first 30 minutes of their 1-1/2 hour lesson. 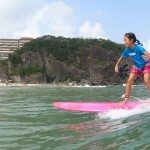 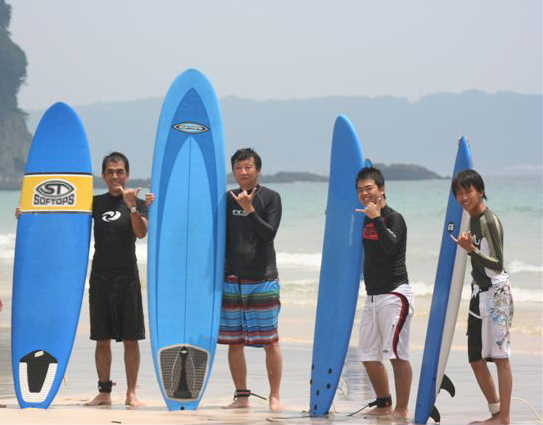 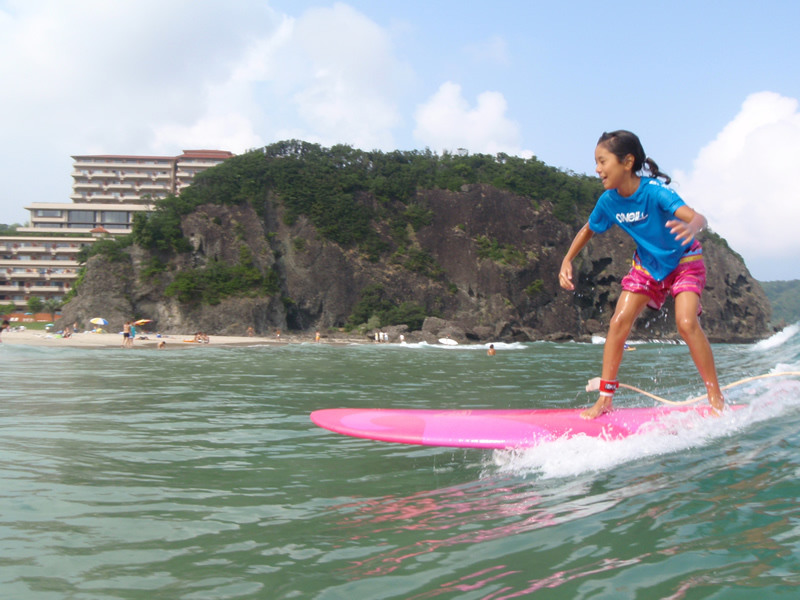 To add more excitement to your next beach vacation in Shimoda call Suzuki-san at Surf Shop Real. 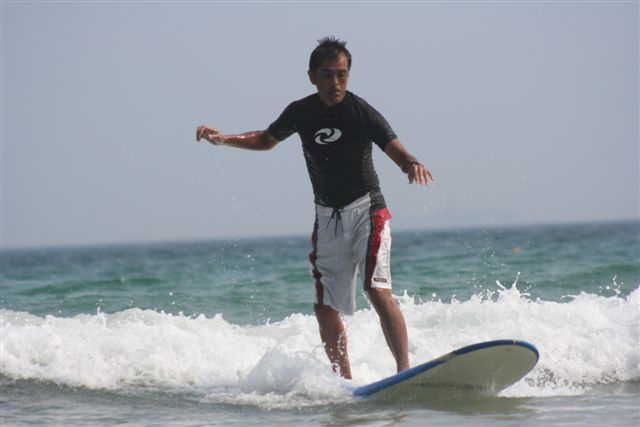 My first surf lesson ever was with Suzuki-san from the Surf Shop Real. 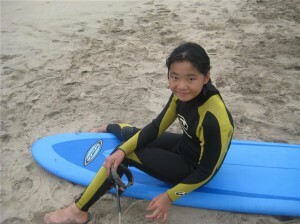 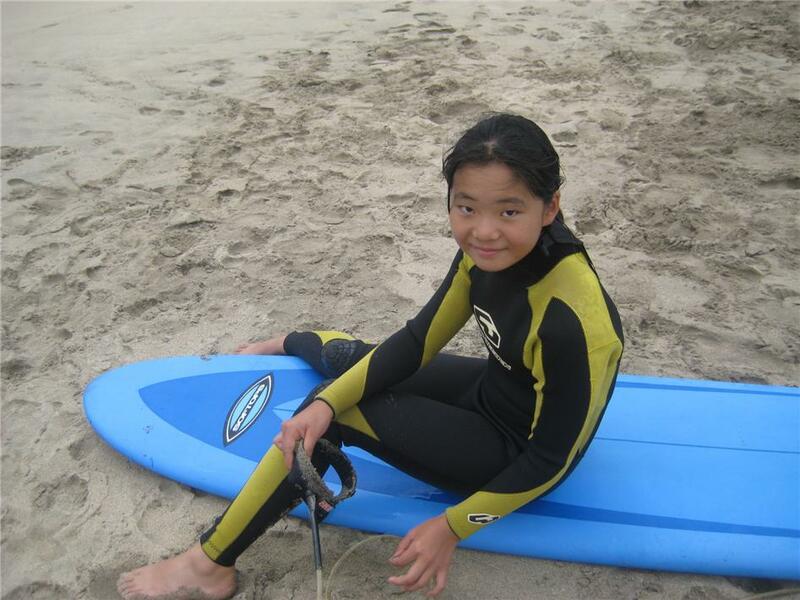 My lesson began on the sand with me learning how to stand up correctly on the board. 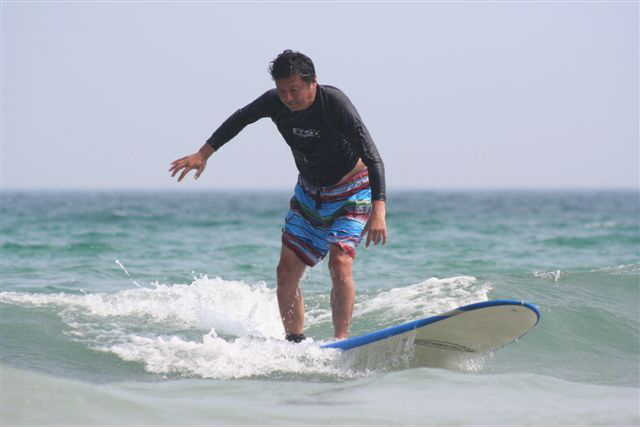 And, a few minutes later I was riding the waves standing up straight. 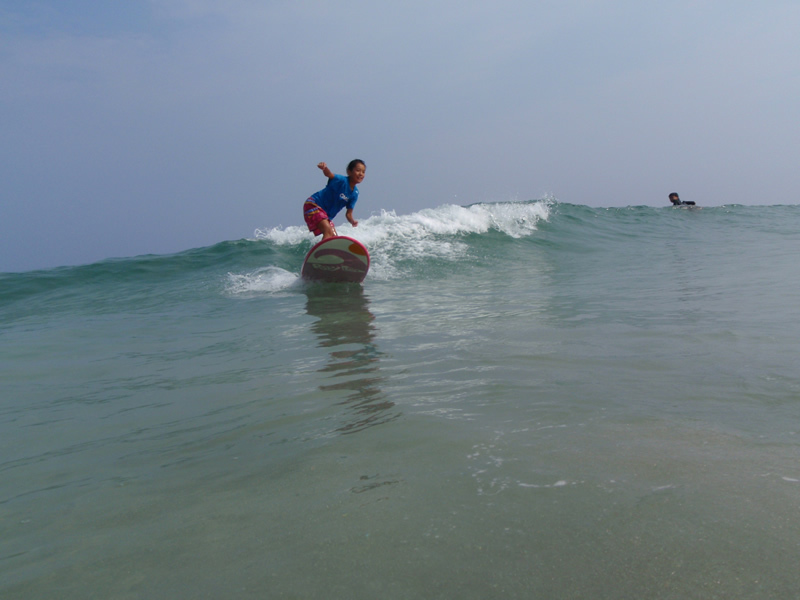 The beach we had our lessons on had relatively small waves, great for first timers. 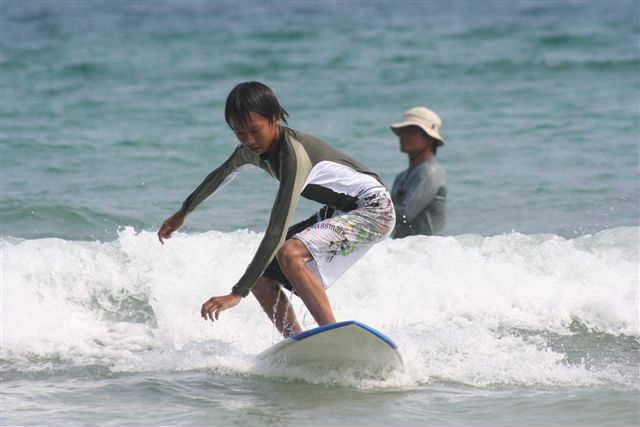 Surfing for the first time was… amazing. 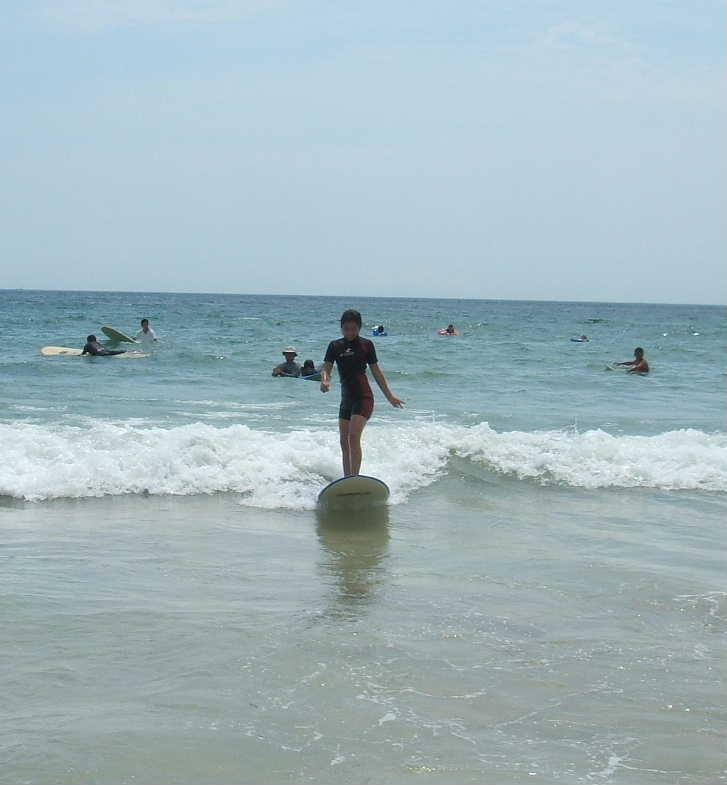 I was able to stand up on the board within the minute I went out into the waves. 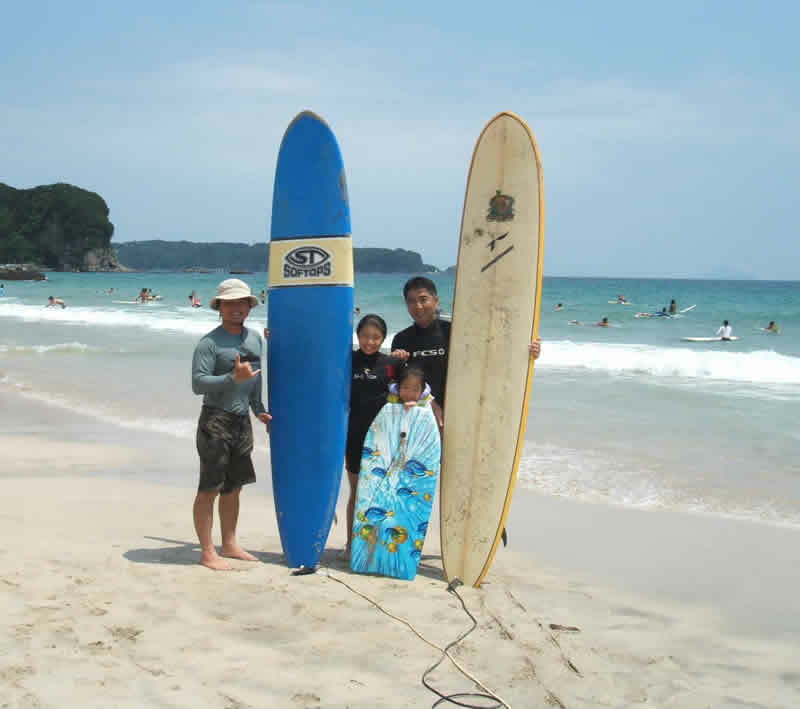 My brother and I started the lesson on the sand, learning how to paddle and quickly stand up without much use of our knees. 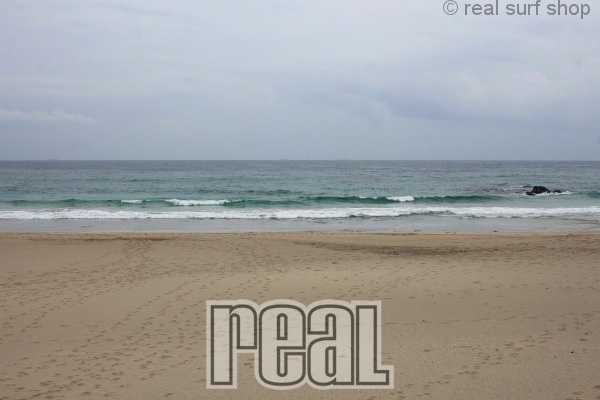 When we had mastered it on land, it was time to try the real thing. 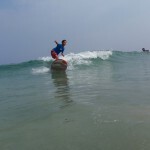 We excitedly ran down to the water with our boards and our sensei not far behind. 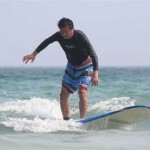 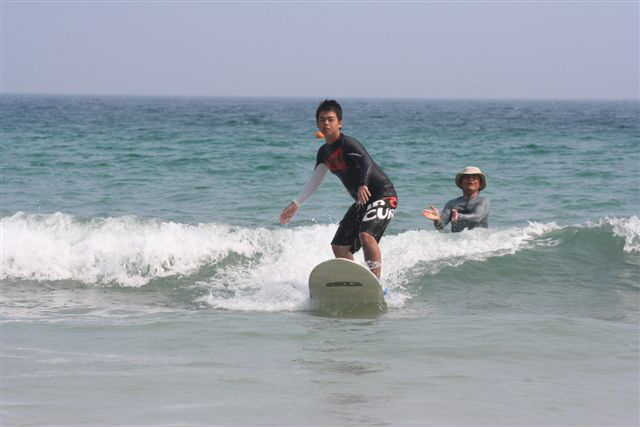 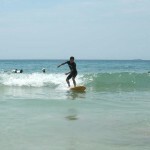 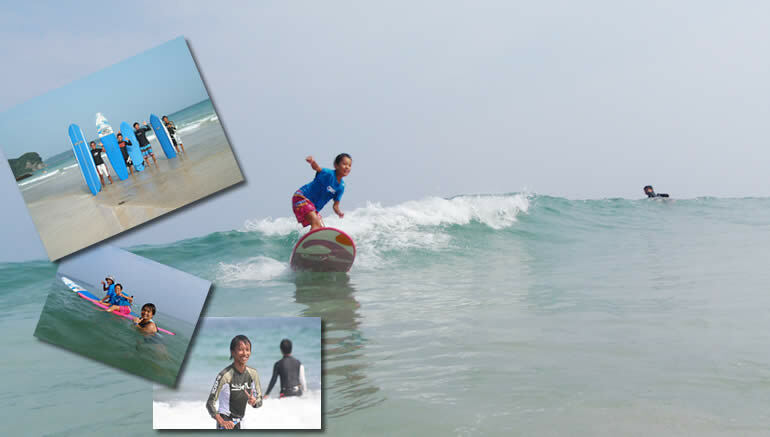 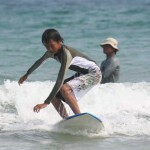 I was very happy to take surf lessons from such a professional surfer “Naoto Suzuki”. 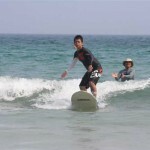 He is wonderful teacher. Everyday,hour and minute spending with Naoto was really very important for me. 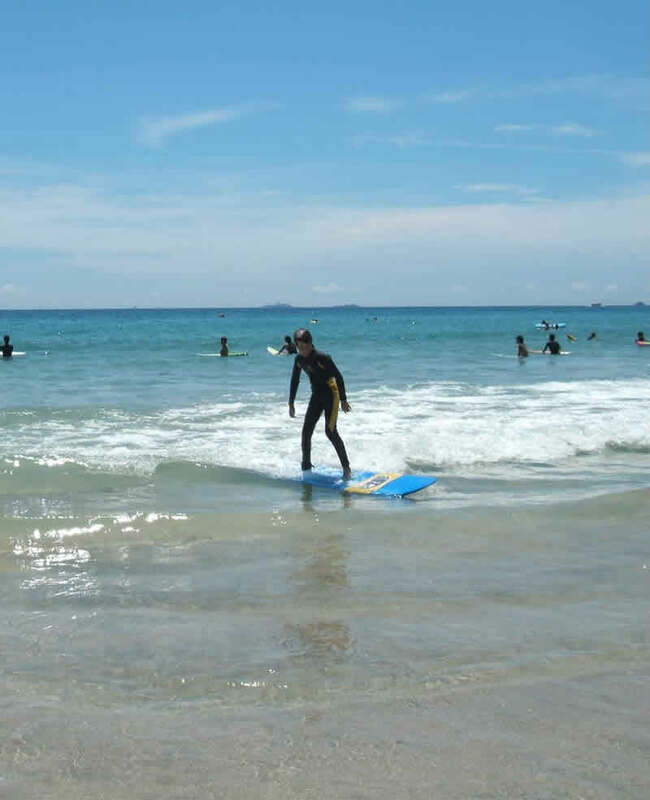 When you standing on the board,,,ahhhh,,,it’s amazing feeling,,,There is no words to explain,,,, you should try it by yourself!! Now ,my favorite kind of sports is surfing. 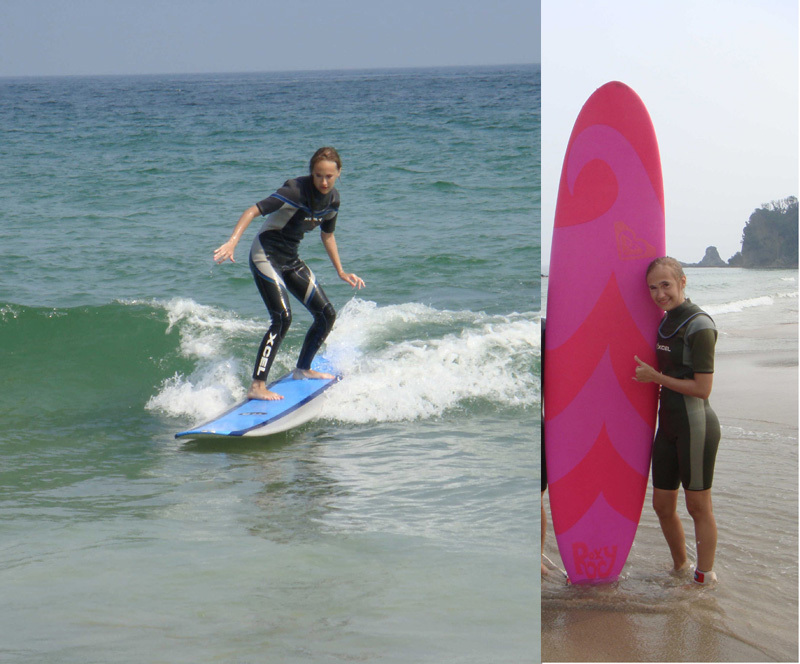 This holidays were the best in my life!!! 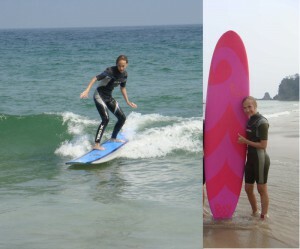 From russian tourist “Anna”. 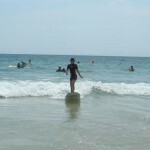 2008 Summer.